​Jennie Jackson has proven to be an exceptional trainer, coach, and judge, both in and out of the show ring. She has traveled the country as a judge, clinician and exhibitor, and has held clinics in Israel for the Israeli Police Academy. Learn secrets to your riding and training success with Tennessee Walking Horses, naturally gaited horses, and even trotting horses. "I just want to say a huge thank you! We saw you in Murfreesboro and you taught us how to adjust a horse that was "cold backed". Our friend has a horse that was a mess when first mounted. She would crow hop and act silly. My husband told him what you said and how to stretch the front legs. Our friend tried it, got on the horse and rode off down the road with no problem!" 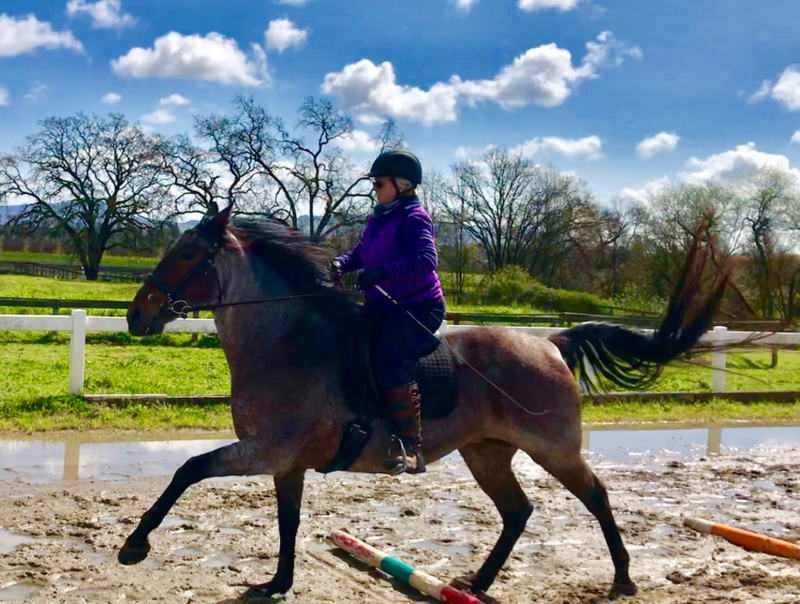 "Miss Roan is coming along--after the first sessions with Jennie Ball Jackson a month ago we have been working hard schooling her on cavalettis, shoulder in, trot to canter and rack. We have now discovered her running walk and foxtrot! Cavalettis and small jumps help develop the hind end and strengthen for the more diagonal gaits. Oh yes and that McCurdy lick is definitely there! It was great to have some sunshine to ride in! My trainer, Jennifer McRonald has been invaluable as well. She is getting ridden 5 days a week at least!"